In a fast-paced environment filled with choices and opportunities, we strive to provide our local community, and the 14 surrounding counties of North Central Florida included in our trade area market, with the highest quality shopping, dining, services and entertainment in one convenient location. With over 78 years of experience doing business in Gainesville, Florida, we provide the consistency and stability few retail developments enjoy today. The trust we as a family business have developed with our consumers over the decades drives us forward as we evolve and continue to expand. 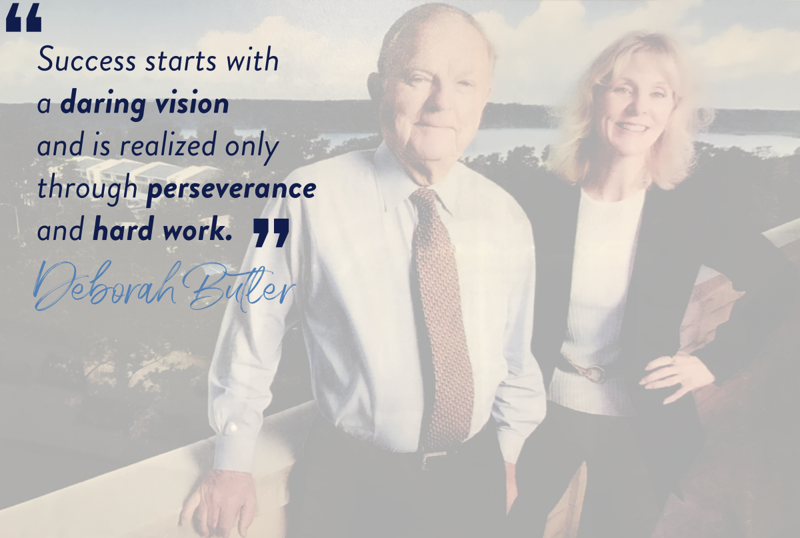 From founder Clark Butler’s humble beginnings in a small curbside market in the late thirties, to the two million square feet of retail and lifestyle developed across 267 acres we have today, Butler has become a legacy brand in the Florida shopping center development industry. The property enjoys 360 degree access directly off I-75 and along Gainesville’s busiest six lane highway attracting the city’s over four million annual visitors in addition to southbound travelers and the residents in the surrounding 14 county region. Additionally, developing in a town with a prestigious tier one research university, some of the nation’s highest ranked hospitals and home to the number one small college in the country presents opportunities for continuous new consumer acquisition yearly. 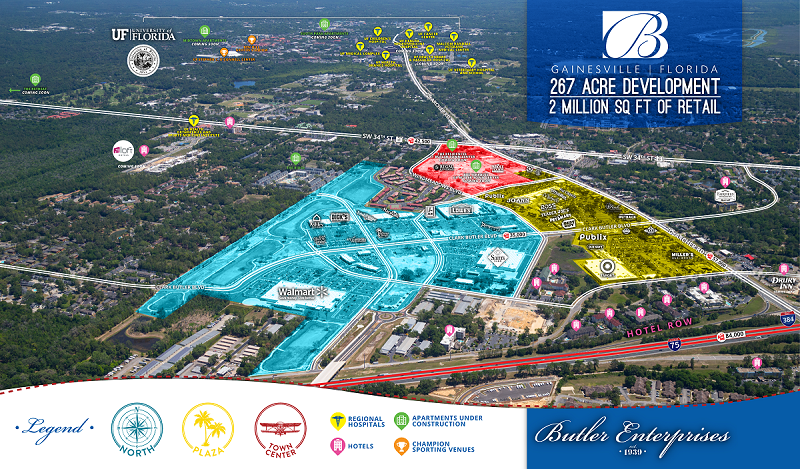 Our mission at Butler Enterprises is to assure long-term value for our company, our retailers and our community through creative development and management of the best-in-class retail and mixed use. To do so, our developments both recognize the necessity of convenience for today’s busy customer while re-imagining lifestyle concepts to match the evolving marketplace, providing new ways of engaging the consumer with experiences that make them feel connected and valued.